If you are looking for how to root TECNO Phantom 6 (A), TECNO mobile first flagship smartphone to spot tri-fold security combination (fingerprint, eye scanner, and Trustlook antivirus) out of the box from the Tecno Phantom series? You are in luck as you can now easily gain root access on the would-be ‘smartphone of the year’. The Tecno Phantom 6 is powered by a MediaTek Helio X20 Deca-core chipset, clocked at 2.0GHz and runs on Android 6.0 (Marshmallow). There are several important reasons to root Android devices. if you want to really unlock the full potential of TECNO Phantom 6 —if you want to be able to control everything, backup everything, customize everything, and do all sorts of fun things like install custom ROMs and get Android Nougat ahead of the pack—you’ll need to root your TECNO Android smartphone. Maybe you have tried the latest version of KingRoot Apk to get root access but failed due to the unavailability of suitable root strategy. Fortunately, Team Hovatek have succeeded in porting the TWRP for TECNO Phantom 6 with full root access and in this tutorial, we will guide you on how to root TECNO Phantom 6 running on Android Marshmallow. After rooting your TECNO Phantom 6 Android phone, it’s advisable to unroot before performing an OTA update or restoring factoring settings to avoid bricking it. 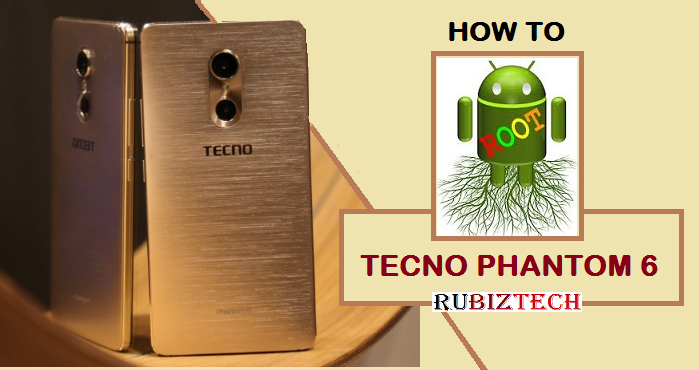 How Can I Root Tecno Phantom 6? Disclaimer: This site and its developers are not responsible if you should brick your phone in the process, ensure you are conversant with flashing custom ROMs and also using SP flash tool before carrying out this process. Copy the downloaded Super SU to both internal storages of your phone and SD card.